Planning propels you so much closer to actually achieving what you imagine. Do you have lots of ideas about what your life could be like, but struggle to make them happen? Maybe you feel disconnected from what 2019 will bring or want to find more meaning in your work. OR perhaps you already have a big vision for what you want to achieve, but are unsure where to start. Join me. I’m going to help you get where you need to be. 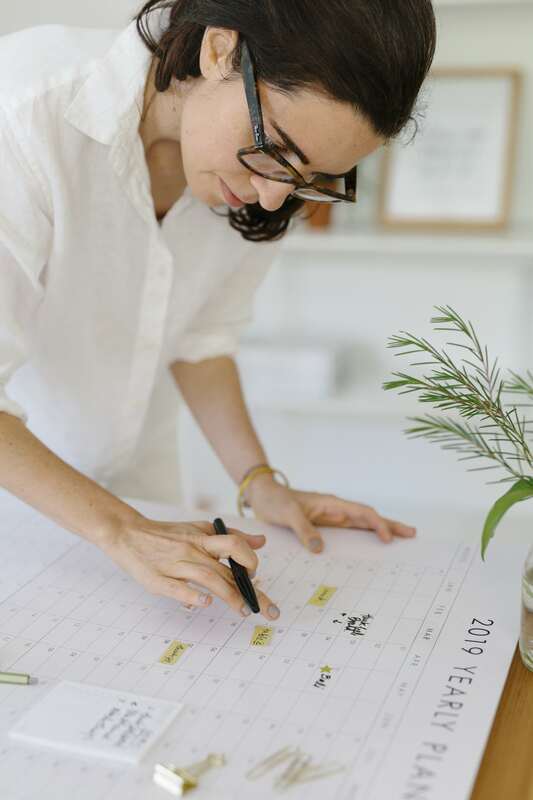 In my first workshop of 2019, we’ll align your deepest desires with clear action steps and create a beautiful calendar mapping your practical path. You’ll graduate with a well-developed vision and a defined chart showing how you’re going to bring your goals to life. How to brainstorm strategically and identify the dreams that best align with who you are. NLP techniques to help you connect with your wise guiding intuition and avoid self-sabotage. How to call on the planner within to find the habits, tools, space and team you need to achieve your goals. Processes for translating your big ideas into calendar entries and action steps. A ritual for communicating your intention to your wise subconscious mind and sending it out into the world. A totally hands-on experience, this workshop is designed for a small group of business owners. 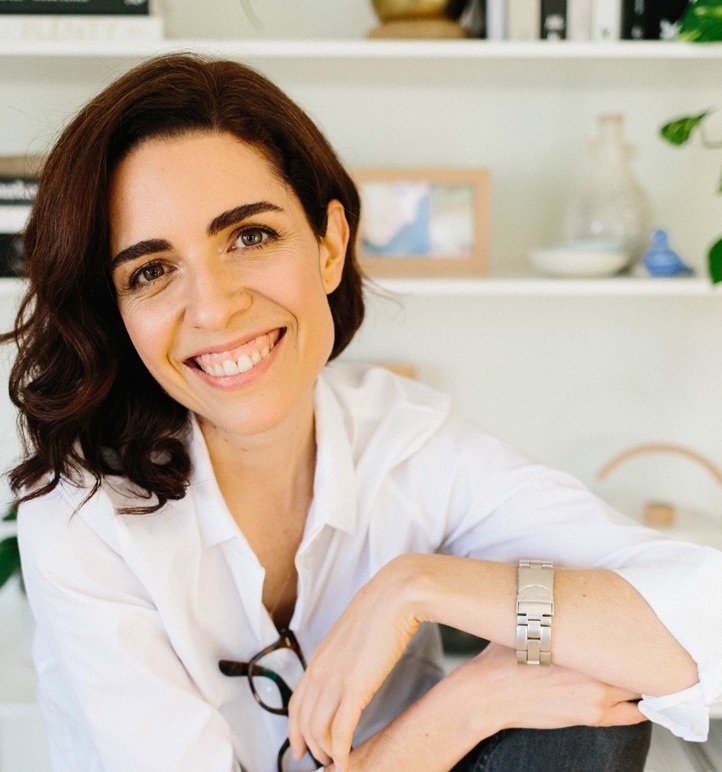 Upon arrival, you’ll be received by a heart-warming drink, your very own dream-planning kit, and Cristina, a seasoned Brand Strategist and certified NLP practitioner, ready to help you connect with your heart, your brand and your planner within. In the first part of the workshop, we will focus on finding THE GOLD. From strategic brainstorming to deep visualization and powerful Neuro-Linguistic Programming (NLP) tools. 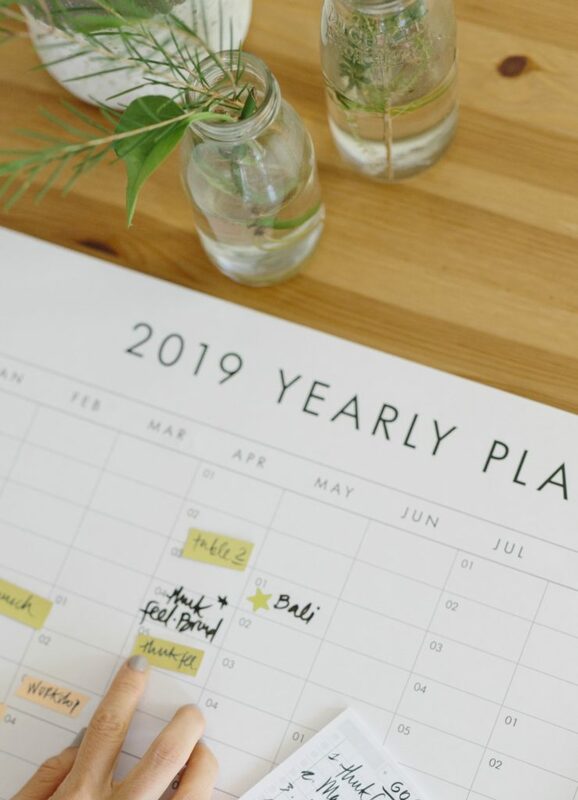 We will connect to what your most inspiring and meaningful goals are for the first 6 months of the year. Then we call our intuition and check whether our goals are inwardly aligned or if there is inner conflict with potential for self-sabotage. I’ll show you how to proceed if this is the case. Calling in your LEFT BRAIN, we check how feasible each of your ideas are. From revenue to turning them into an offering, we evaluate what stays, what we commit to, and what has to wait. Well Aligned dreams and goals, ticked. Key dates and clear calendar, ticked. Now we call in the magic. ALIGNING YOU WITH THE PLAN is a process where I get you to deeply connect to that aspect of you that will carry on with the plan. The daily habits, tools, space, team, supportive thinking patterns are all part of this very important step. Our last part of the process is what I call, PLANTING THE MAGICAL SEED. In a short but powerful visualisation, we take your finished documents and Goal Calendar, and deliver your dreams and desires out into the universe and deep into your subconscious mind. This essential ritual will activate your goals and plant the seed for the incredible things to come. At the very end, we will have a chance to share our findings, dreams and gorgeous calendars with the group. Finding an accountability partner is not required but highly, suggested!!! A table full of nourishing nibbles will be provided and a few breaks squeezed into our action-full, dream-full time together. You’ll get a chance to you take it all in! For more than 10 years now, my team and I have created and implemented successful brands all over the world across many industries. Our work has been widely published and our clients’ businesses have flourished and grown. I’ve worked closely with women, mentoring them to take action to achieve their dreams, and holding their hands as they launch. In the process I’ve made it my thing to study, research and understand what’s truly required to ignite a business idea. What people are saying about the Workshop..
”GAME CHANGING I thought I had all the tips and tricks to build an amazing brand and not breaking myself in the process, until Dream, Plan, Get it Done. With Cristina’s guidance, I was able to connect with my deepest dreams and hopes, and to finally envision the person I want to become. Her energy, wisdom and techniques, applied while working through her detailed workbook and calendar during the call, helped me become truly aware of the amount of time I have in my hands to make things happen. She helped me see what needed to go where and, suddenly, I was no longer overwhelmed by all the plans and ideas I’ve had for my business for years but was never able to bring to life. In little over an hour, I understood what it is I need to do and, most importantly, how not to loose momentum nor confidence.